Regardless of what one may choose to ride, be it a vintage British Single, a Japanese Four, a German Boxer, or an American V-Twin, everybody….EVERYBODY enjoys, in some shape or form, the traditional motorcyclists’ get up: black leather jacket, sunglasses, engineer boots, and maybe even riding sans helmet. For some of us, riding while dressed like this is a guilty pleasure – giving in to our teenage dreams of wanting to look as cool as Marlon Brando in The Wild One. For the others, dressing like Brando is guiltless – it’s just what they do. Either way, it’s inevitable that motorcycling will always have its conventions of style be it clothing, music, and even a loaded choice of coffee or tea. There is a time and place for each of these conventions, and each is enjoyable in its own right. But as fun as these conventions may be, there’s something to be said about finding what makes motorcycling enjoyable to you, and on your own terms. 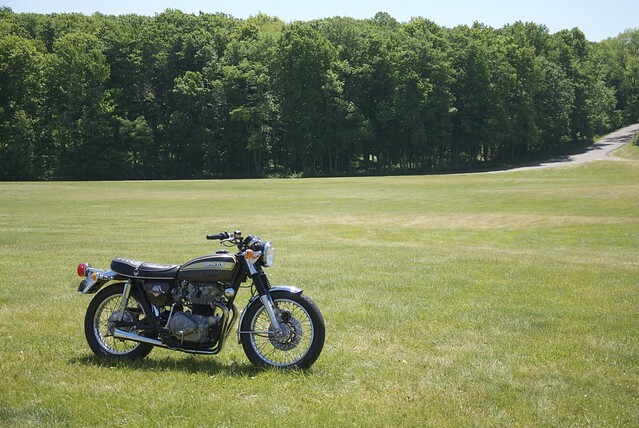 After all, once all the meet-ups, group rides, and festivals fade out, motorcycling is fundamentally about being alone. So here’s the question…when you’ve been alone on the road for hours in the wind, what is it that keeps you going? What is it that keeps you coming back?